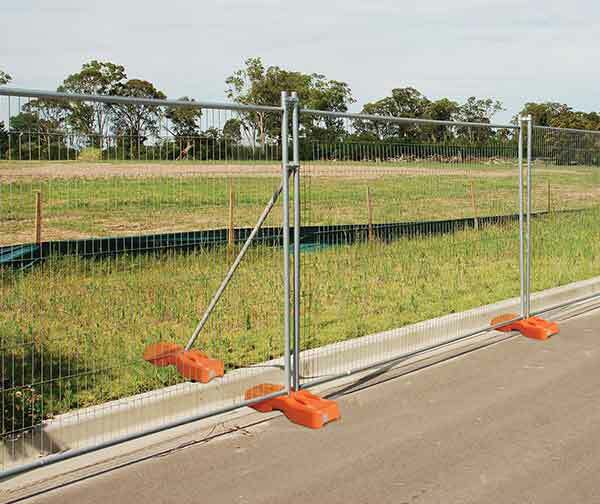 National Temporary Fencing supplies and delivers temporary fencing and accessories. We provide a wide range of products that can be delivered on short notice to sites all over Australia. Perimeter Panels – We carry perimeter panels which are able to withstand harsh environments and suitable for construction sites. There are various types of perimeter panels on offer, from lightweight panels that can be speedily installed to more durable panels designed to hold up in harsh environments. Footpath Panel – Our footpath panels are small, lightweight and designed for areas where there is limited space, such as footpaths where room must be left for pedestrian traffic. Gates – Both vehicle gates and pedestrian gates are available. These fence panels have been adapted to provide openings in a train of existing panels, and can be latched or bolted. They can also function as a smaller panel in situations where there is no room for a standard sized one. Feet Systems – Our feet systems are designed to provide stability in an unobtrusive manner, as well as be installed quickly and securely. Handrails – In areas open to pedestrians, handrails can increase safety and provide assistance, thereby minimising accidents. Alleviate the dangers of pedestrians tripping over the feet of your temporary fencing panels by attaching handrails to the panels. 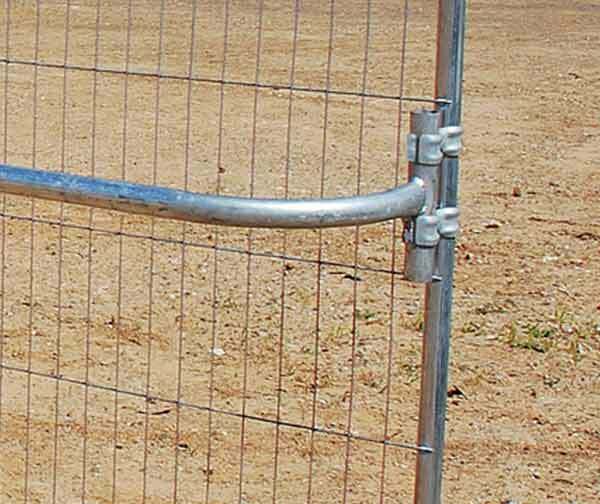 Fencing Accessories – Security washes, application tools and standard and heavy duty fence couplers are available on demand.